Needed some kind of RCA adapter? Radio Shack. A longer phono cord? Radio Shack. Batteries? Radio Shack had them all. But they also had some big ticket items like stereos and speakers sold under the Realistic brand. They’re weren’t great, but they certainly could do the job. At one point in my life–i.e. 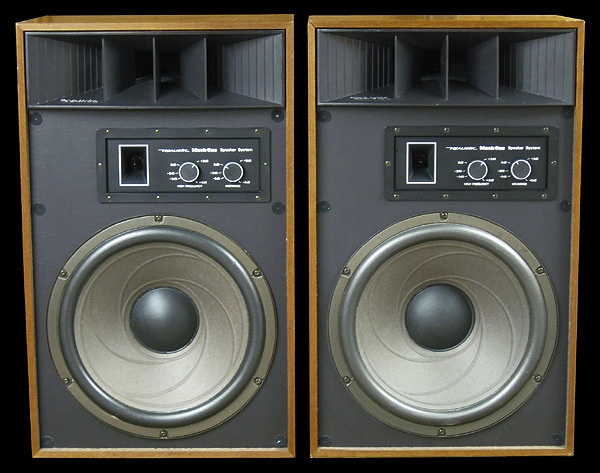 when I was still living in my parents bedroom and investing almost everything I earned into records, tapes and stereo gear–I lusted after a pair of Radio Shack’s Mach One speakers. Proper Radio Shacks started disappearing from Canada a few years back, relaunched under the name The Source By Circuit City. And while the chain survived in the US, it looks like its coming to an end, too. Word is that Amazon wants to buy the whole thing to better compete with Apple. If the decided to kill off the brand, it will be the end of something that’s been in business since 1921. Columbia House still owes me a No Doubt CD I ordered in 1996. Guess, I won't be getting it now.